Artefill® is the only “permanent” FDA approved filler for the correction of facial volume, wrinkles, and acne scars that truly lasts! Because Artefill is a long lasting filler, it requires special skills and attention to detail when placed. Dr. Lee evaluates and treats each patient uniquely for natural, optimal results. Dr. Lee has served as a member of medical advisory board for Suneva Medical, the Artefill manufacturer. Artefill is composed of two main components. Non-absorbable particles known as PMMA micro spheres (Polymethyl Methacrylate) and purified collagenous gel. The collagen provides immediate correction of the injected area, and the PMMA particles provide the matrix for long lasting filler correction. PMMA is the same material that has been used in dozens of medical implants over the last 50 years, and is proven safe. 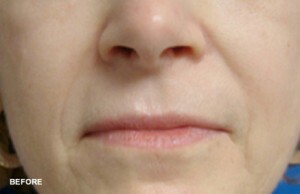 One or two treatments may be necessary for optimal correction.